Memorial Day is always extremely special for my family. We join the nation in honoring the brave men and women who proudly served this country, like my brother-in-law and my husband’s grandfather who I sadly never got to meet. But it’s also about celebrating life and having fun because it’s my hubby’s birthday as well! So what did we do to celebrate? Well, if you follow me on Instagram you might have noticed that our Memorial Day weekend started by welcoming a new member to the family – Cheeky! Arianna has been beeeegging us for a hamster for a while now, so we finally got her one as a prize for doing so well in school. 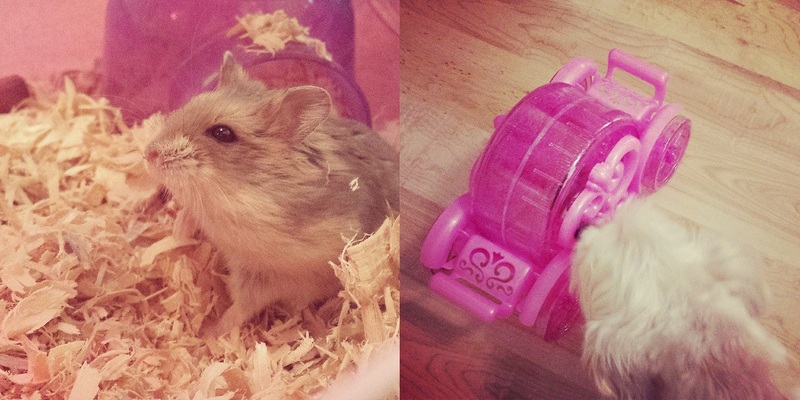 She’s a Russian Dwarf Hamster, and she’s got the biggest cheeks you’ve ever seen!! She’s soo cute! 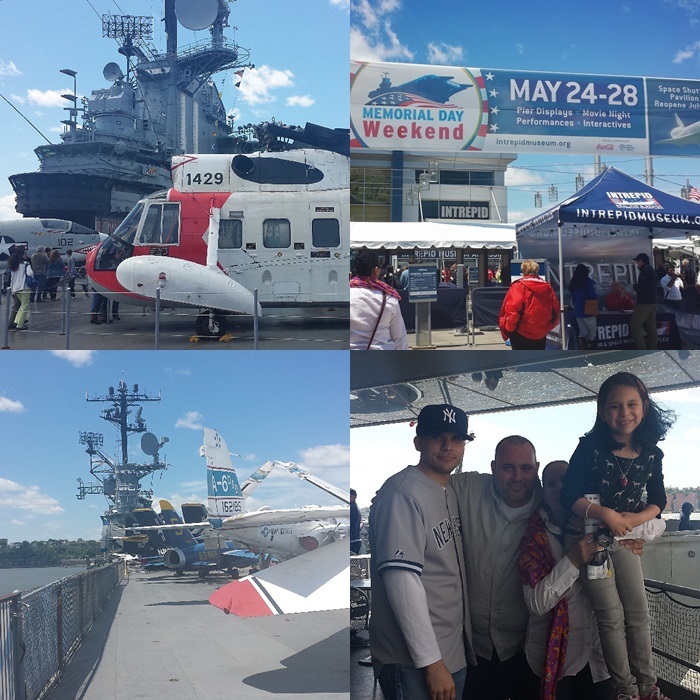 On Sunday we headed into the city to spend the day on the Intrepid. It was my first time going and it was amazing! It felt truly special to be surrounded by massive machineries and hundreds of military artifacts that played such an important part in our country’s history. It was really special. And I’m glad we also got to take Arianna, so she can see and appreciate the service and sacrifice our military men and women make every day. 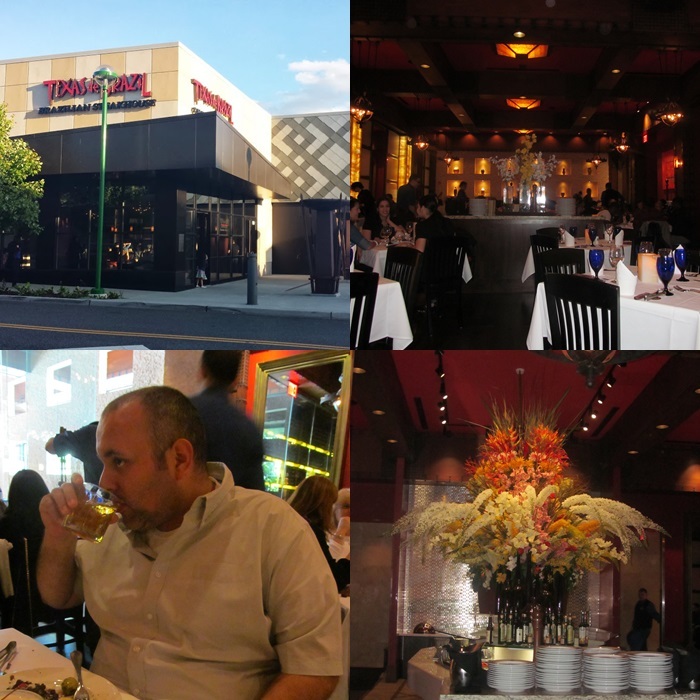 Afterwards we headed to Texas de Brazil in Yonkers for Jason’s birthday dinner! As a meat-eater, you can’t ask for anything better. An endless variety of meat, served to you at the table, any way you want it. Boom! Oh, and the desserts? Ugh. Phenomenal. On Monday, we had a BBQ at our house. (Because it’s not like we had enough meat the night before or anything). It was the first BBQ of the season and it was delicious! I even made my version of a southwestern corn recipe I found with Hebrew National hotdogs that was a hit! 1. Spray cold grate of outdoor grill with grilling spray. Prepare grill for medium heat. Brush corn with 1 tablespoon of the oil. Grill corn and franks 10 minutes, or until corn is tender and franks are hot. 2. Heat remaining 1 tablespoon oil in medium saucepan over medium-high heat. Add onion; cook and stir 3 minutes. Stir in bell pepper; cook and stir 2 minutes. Add beans and salsa. Cover; simmer 5 minutes, or until heated through. 3. Cut corn from cobs; discard cobs. Stir corn into bean mixture. Serve with grilled franks. Top with cilantro, if desired. I’ve mentioned before that Hebrew National hot dogs are the only hot dogs allowed in my house. Jason is extremely picky with his food, and Hebrew National’s 100% kosher beef with no-fillers or by-products pass his taste test. If you asked me our Memorial Day weekend couldn’t have been better. The weather was perfect. The food was out of this world. And I also got to wish the love of my life a Happy Birthday. Plus, I don’t know about you - but I see plenty more BBQ’s and hotdogs throughout my 99 days of summer! Woot! Looks like a perfect Memorial Day celebration to me! 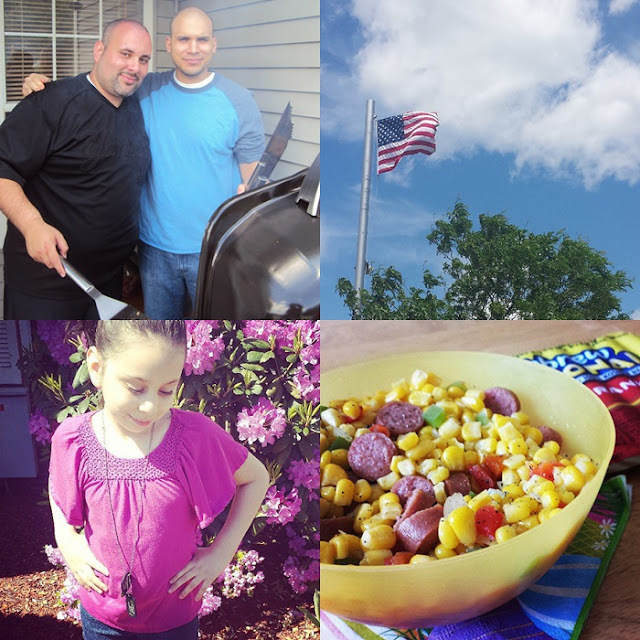 Hope you had a great memorial day weekend! !